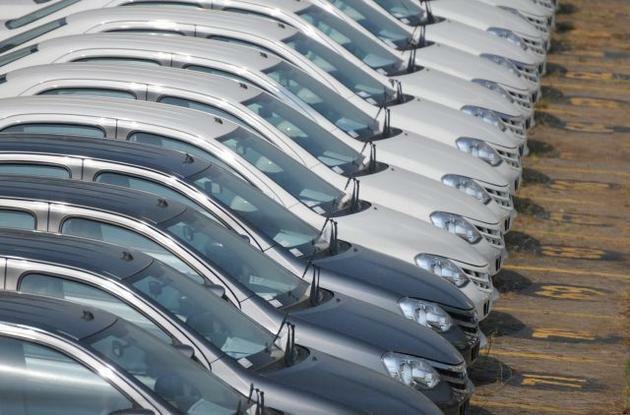 Automobile Exports decline as manufacturers post double digit decline in shipments in September. Industry experts say the advantage that India enjoyed because of its low cost of manufacturing is slowly eroding. Even though government is trying to promote made in India Hyundai Motor as well as Nissan – Renault have shifted exports of some models out of India. The Made In India seems to be a distant dreams considering that manufacturers are already facing huge difficulties producing vehicles in India. Europe is already offering cheaper alternatives to automobile manufacturers to promote export and to establish export hubs in Europe. India is already facing a lot of negativity due to its bottlenecks and unfriendly tax structure. After BJP took over as the ruling party, India’s position in ease of doing business has decline 2 points to 142 out of 189 countries a stated by World Bank in its Ease of Doing Business Report, 2015, against 140 in 2014. It seems Made in India is just another statement with no strength behind it. Renault – Nissan Chennai plant was responsible for export of SUV Duster to the UK, but they have now decided to shift base from India to Romania to serve British market. “The reasons are largely cost related — the benefits of competitive manufacturing costs in some of the new locations (East Europe), logistics costs and duty benefits,” said Subrata Ray, senior vice-president at local ratings firm ICRA. Similarly Hyundai’s Indian unit also stopped manufacturing vehicles for exports to Europe. They now supply cars from Turkey. Hyundai Motor India’s exports are expected to drop 25% to about 190,000 units this year. Maruti Suzuki also saw steep decline of exports. Major decline in Exports was seen by Toyota and Honda which saw a 60 % and 45 % decline respectively, followed by Nissan, Maruti and Hyundai at negative figures of 38% 28% and 21% respectively.